Disneyland may be the ultimate family vacation destination. This world-famous theme park is located in Anaheim, California and it’s been delighting families for more than 60 years. Many fans return to the “Happiest Place on Earth” year after year because Disneyland really is that magical. It’s impossible to cover everything there is to know about Disneyland on a single page, but I’ll give you the essential information you need for a fun Disneyland trip, without paying more than you have to. This page is the hub for all Tips for Family Trips’ Disneyland posts. Use the links to dig deeper on topics that interest you, and check back regularly because my contributors and I add new Disneyland tips often! Use these buttons to quickly navigate between topics. There are lots of good ways to avoid paying top dollar for your Disneyland vacation. Here are a few basics. Let Get Away Today plan your Disneyland trip. This is my best tip for saving time and money on Disneyland. Get Away Today Vacations has a low-price guarantee on Disneyland vacation packages and excellent service. They can help book flights or hotels en route too. Learn more at www.getawaytoday.com. 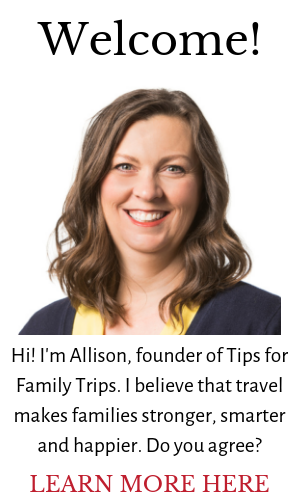 Save an extra $10 when you use my exclusive coupon code Tips10Trips. Park Hopper tickets are nice to have, but not essential. You can save a lot of money with One-Park-Per-Day tickets. Pack your own sandwiches and snacks in a day pack or stroller. Disneyland allows you to bring in your own food and it’s an easy way to keep costs down. Get more money-saving tips in the posts below and get my free minibook 6 Tips and Tricks for Finding Disneyland Discounts. You can download it for free when you subscribe to my email newsletter. Click the large image below to learn more. Most families will need 3-5 full days to visit Disneyland Resort. Disneyland Resort has two parks – Disneyland and Disney’s California Adventure – and an entertainment district called Downtown Disney. The entrances to all three surround a single large courtyard. It’s easy to walk from one to another. Disneyland is the original Disney theme park. It has the castle, all the famous rides and the princesses. New Star Wars attractions can be found inside Disneyland. The new Star Wars land will open in 2019. California Adventure is newer, and just as large and fun as Disneyland. Pixar attractions like Radiator Springs Racers and the new Pixar Pier are here. Look for new Marvel attractions in California Adventure. The new Marvel land will open in 2020. Downtown Disney is an outdoor mall filled with restaurants, shopping and fun activities like virtual reality experiences, bowling and nightlife. No ticket is required to visit Downtown Disney, so enjoy it in the evening or a day off from the parks. Here are some of my and my contributors’ favorite attractions at Disneyland. Disneyland has three magical on-property hotels and many great off-property hotels for families. Extra-large family rooms at moderately-priced hotels near the park are not hard to find – especially if you book early. In general, closer is better at Disneyland. Walking distance is ideal, but there are also a lot of good hotels with shuttle service to the parks. Staying close will help you avoid Southern California’s awful traffic and make it easier to arrive early, which can save you hours of time in lines. Here are more tips for picking a hotel near Disneyland, and reviews for a few that we’ve tried. Keep in mind that Disneyland allows you to bring your own food into the park in a day pack or stroller, and that’s a great way to keep food costs down. There are many familiar fast food and full service restaurants outside the park, near the hotels. These are good options when we arrive at the park early in the morning and wrap up at dinner time. However, I would never leave the park in the middle of our day. It just takes too much time. There are six major airports near Disneyland. John Wayne Airport (SNA) and Long Beach (LGB) are convenient, but smaller, so you may have fewer flight options. Los Angeles (LAX) is a huge airport with lots of flights, but the drive to Disneyland is less convenient. If you’ll be flying in and spending most of your trip inside Disneyland, skip the rental car. Shuttle services are the traditional option, but Uber and Lyft work well in Southern California. These services are my preferred way to get around when I don’t drive my own car. California has strict car seat laws for kids under age 8. Bring your own or consider a travel booster seat if you want to be sure that a shuttle, taxi or ride share will let your child ride. Nearly all hotels near Disneyland are either on the ART line or offer a Disneyland shuttle. ART stands for Anaheim Resort Transportation, and it’s a shuttle service that will take you to Disneyland and other popular destinations in the Anaheim area. Disneyland has two large parking areas. They are within walking distance of the park, but far enough away that most visitors use the parking shuttle. It currently costs $20 per day to park at Disneyland. Here’s where Disneyland gets fun. Everyone you know who has ever been there will have a few favorite tips to share, and it can be overwhelming. Absorb what you can and don’t worry about the rest. The only “right” way to do Disneyland is your way. Crowds and long lines can be a real downer at Disneyland. Here are a few tips for reducing your time in line. Arrive at the park before opening time and ride the most popular attractions on your list before lines get long. You may ride more before 10 AM than the whole rest of the day. Use FASTPASS, Rider Switch and Single Rider options to reduce time in line. Read more about these in my Disneyland Tips for First-Timers post. Download the official Disneyland app. Consider purchasing MaxPass through the Disneyland app, which will allow you to get FASTPASSes through the app, among other perks. Use a planning tool. Touring Plans and RideMax are two popular paid options that can help you do everything on your Disneyland wish list without spending a lot of time in line. Get my free minibook. You’ll get more tips for avoiding crowds when you subscribe to my email list for 6 Tips for Finding Disneyland Discounts. This email series also includes my minibook 6 Tips for Avoiding Crowds at Disneyland! Here are more tips and tricks for families at Disneyland.